If you are asking yourself where to locate a chiller rental equipment provider, look no further than Alpha Energy Solutions. We can aid you in finding a chiller that is best for your industrial or commercial center. Why leave your chiller leasing to chance? 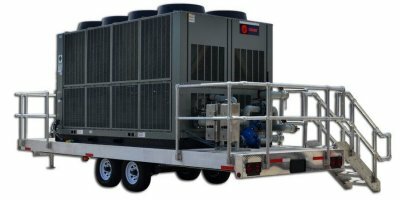 Count on Alpha Energy Solutions as your Chiller Rental Source. Take comfort in knowing that when it comes to a great selection of chiller rental options, we can provide. We have over 2000 years of experience in the area and handle all tasks related to HVAC. A chiller is a massive financial investment so selecting the best set up is crucial to the success of your operation or project. We have access to an incredibly large distributor network which allows us to offer you a wide selection of chillers that range in size and capacity. Depending on your needs and how you plan on deploying your units, you can rest assured that there is a build that will certainly suit your requirements. You can spend time searching online for a chiller rental or you can head directly over to a knowledgeable source with a great reputation. Alpha Energy Solutions specializes in chillers for all applications in commercial and industrial settings. You should deal only with authorized distributors to avoid any pitfalls associated with shopping around for equipment online. Chillers are complex machines and a sizable investment. Trust all of your chiller rentals to Alpha Energy Solutions. Once you have selected a chiller based on your application and required specifications, know that it will be backed by service. Whether you simply need service or urgent repairs, the technicians at Alpha Energy Solutions are on-call 24-hours a day, 7-days a week to accept calls for service. Moreover, in the event that parts are required for a repair, we can reduce your wait times by acquiring parts from our network of distributors. Contact us to learn more about our rental equipment solutions for your commercial or industrial operation.